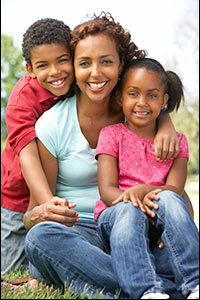 At Child HELP Partnership, we are dedicated to building family and community relationships. We are fortunate to have local, state, and national partners to collaborate with us. Since our inception in 2001, the NYC Administration for Children’s Services, New York’s first agency devoted solely to serving children and their families, continues to provide us with the majority of our referrals. Local advocacy agencies with close ties to CHP include: The Legal Aid Society, Queens Child Advocacy Center, Family Court, and District Attorney’s Offices. For Queens-based projects, CHP has created advisory boards comprised of the above agencies, community providers (for example, Queens Library, local public and parochial schools), and Latino, African American, and Caribbean community groups. On the national level, we have ongoing collaborations with national experts in evidence-based mental health, foster care, and cultural competence. Child HELP Partnership also participates in consortia to improve resources and access for child violence victims. Our partners in this effort include the National Child Traumatic Stress Network. We are pleased to have established relationships with state and national youth-service systems. These include the NY State Office of Children and Family Services, NY State Office of Mental Health, and American Professional Society on the Abuse of Children. We also team up with national advocacy initiatives including Male Survivor.org.